Sector for industrial development and innovation system – SIRAZIS – is an organisational unit (sector) within the Croatian Chamber of Economy (CCE), founded in 2016, which, as a partner, participates in the implementation of two strategic projects funded from ESI Funds: Strategic project for support of Cluster Competitiveness Initiatives and Strategic Project for support of establishment of Innovation Network for Industry and Thematic Innovation platforms. The project leader is the Ministry of Economy, Entrepreneurship and Crafts. The implementation of both Strategic Projects is co-financed with 85 percent of the required funds from the European Structural and Investment Funds (ESI Funds), namely the European Regional Development Fund, while the remaining 15 percent is financed by the CCE. The budget for all four years of implementation of projects amounts to EUR 6.2 million. Supervision over the use of financial resources for the duration of the Strategic Projects has the Central Finance and Contracting Agency as the Level 2 Intermediary Body. 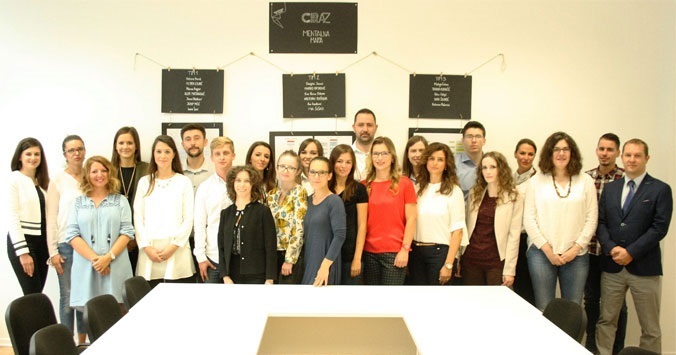 SIRAZIS employs 37 employees working to support the industrial development of the Republic of Croatia, supporting the establishment and operational functioning of an efficient national innovation system and generally strengthening the competitiveness of the Croatian economy. The employees also work on strengthening Croatia’s position in global value chains, provide support the internationalization of the Croatian economy, it’s promotion and branding, and work on strengthening the knowledge and skills of the business sector needed to achieve industrial development goals. Poziv na Okrugli stol – Trendovi razvoja biomedicinskog inženjerstva, 10. listopada 2018. This website is co-financed by the European Union from the European Regional Development Fund.